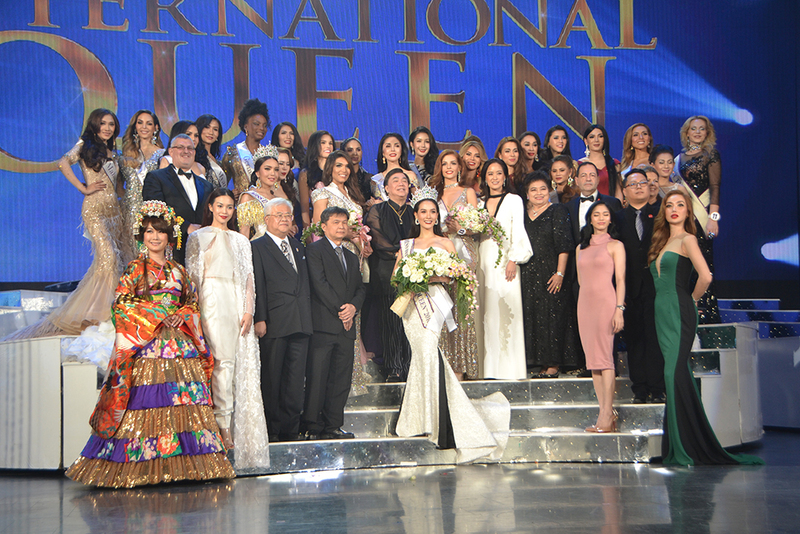 The reigning Miss Tiffany Universe added another crown to her collection by winning the 2017 Miss International Queen transgender beauty pageant. Jiratchaya Sirimongkolnawin, 25, bested 24 other contestants from 19 countries in the March 10 contest at the Tiffany Theater. The model and design student took home 450,000 baht in cash plus prizes and vouchers from Pratunam Polyclinic, Air Asia, Krungthai Axa, Mistine, Woodlands Hotel & Resort and the Tiffany Show. 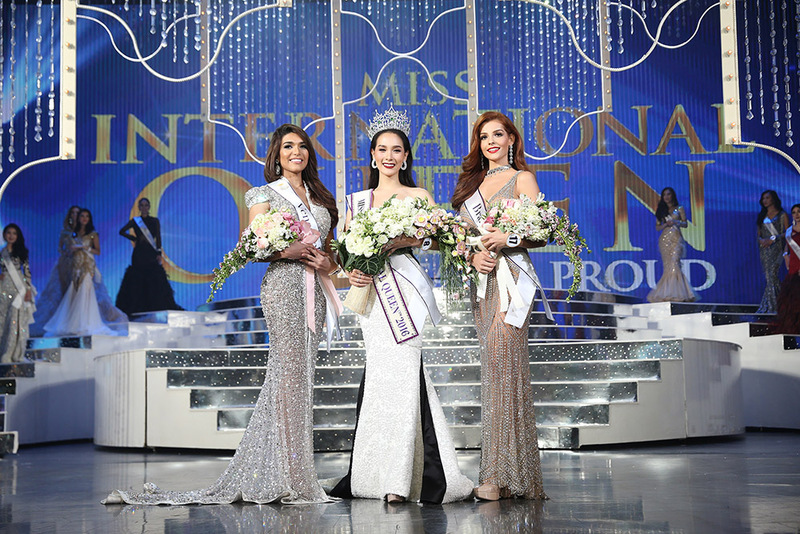 Jiratchaya Sirimongkolnawin (center) won the 2017 Miss International Queen transgender beauty pageant. She is flanked by runner-up Nathalie de Oliveira (right) from Brazil and second runner-up Andrea Collazo (left) of Venezuela. Brazil’s Nathalie de Oliveira placed second and Andrea Collazo of Venezuela third. 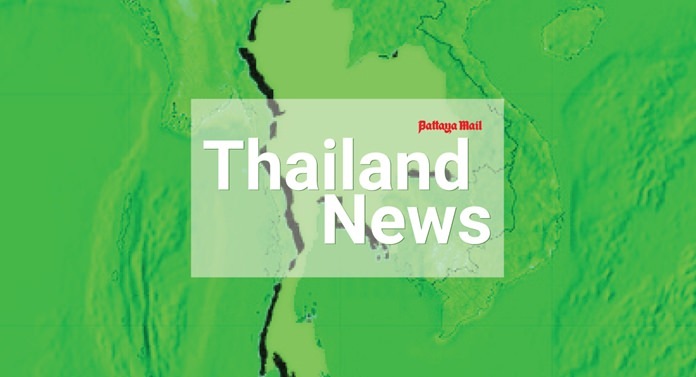 Jiratchaya’s win, which followed her victory in the Thai-only Miss Tiffany Universe in May, brings the international transgender beauty crown back to Thailand following last year’s win by Trixie Maristela of the Philippines, who made her farewell at the show. Contestants arrived for the world’s largest international transgender pageant on March 1, making tourism-promotion appearances in Pattaya, Koh Lipe and Hat Yai, where the talent competition was held. Italy’s Roberta Marten used her powerful voice to sing her way to the talent competition win with Jiratchaya placing second and Uma Suzuki of Japan third. Contestants, judges and sponsors gather on stage for the grand finale. At the finals, contestants paraded before the judges in evening gowns and national costumes before submitting to a question-and-answer round. Other prize winners in the pageant were Wanmai Dhammawong of Laos for best national costume, Laween Holanda of Brazil for best evening gown, Malaysia’s Star for Miss Friendly Air Asia, Stacy Pianno of the Philippines for most photogenic, and Mexico’s Gisele Walero for best introductory video. Jesters’ Gala Party Night is Tomorrow already!